Smooth, sweet and silky, smoked paprika is truly a delight to cook with. 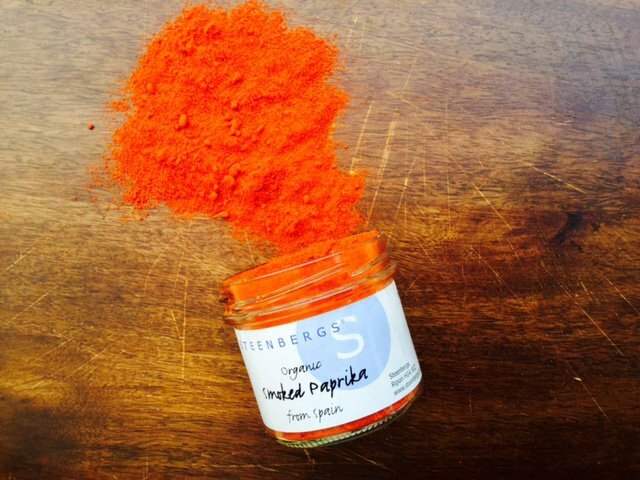 Although paprika can be sourced from Hungary, Steenbergs source organic smoked paprika from Spain and is locally known as Pimenton. There is a distinctly smoky element but there are also peppery and slightly bitter notes which makes this spice incredibly flavourful and versatile to work with. Steenbergs Organic Smoked Paprika, comes from Spain. 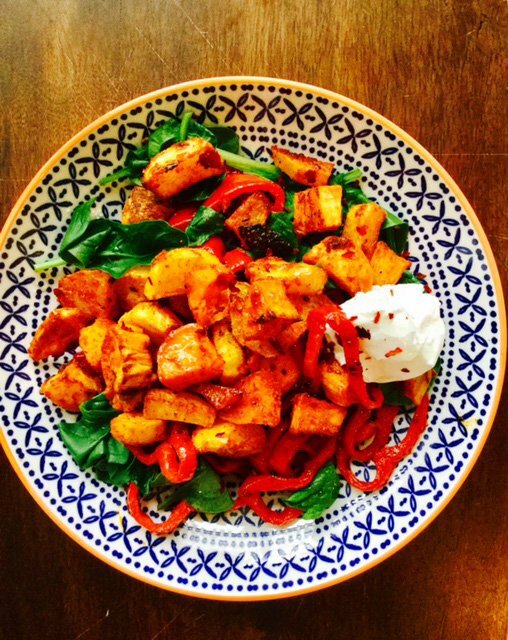 Recipe for smoked paprika and chorizo hash. Great brunch recipe. In your saucepan gently heat 2 tablespoons of the coconut oil and keeping the heat on a steady medium- high temperature, add in your chopped sweet potatoes and turn up the heat, using your wooden spoon to coat all the cubes in the oil. Spend about 5-7 minutes cooking your sweet potatoes, you don’t want them to colour too much, just to become tender. When this happens, add in your sliced red pepper and chorizo slices and cook for a further 3 minutes. Add in your lovely pyramid salt, smoked paprika, cracked black pepper and crushed garlic and turn the heat down, tossing occasionally. Place the lid on top and let it cook for a final 3-5 minutes. Steam your baby spinach and place onto your serving plates. Whilst it’s still warm, spoon over your delicious chorizo hash and serve with your coconut yoghurt on the side…a simply delicious and satisfying brunch.